The owners of ARY have reportedly agreed not to bring cases of massive corruption in the National Bank of Pakistan after assurance that they will get a soft loan of Rs 100 million. 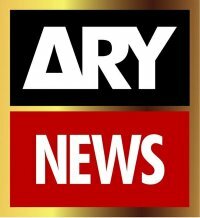 The bank has started preparations to transfer funds to the Dubai account of the owners of ARY TV. It may be recalled that ARY’s anchor Dr. Danish on February 26th brought to lime light some corruption cases in the Bank including the issue of Dr. Mirza Ibrar Baig, alleged to be Indian spy. He was called a security risk in the light of reports by civilian and military security agencies. 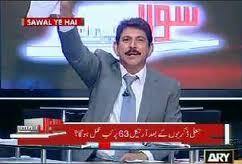 During his programme “Sawal Ya hai” Dr. Danish also announced to run another programme on Feb 27th. That programme was recorded but was never released. Sources in the bank say that Anwar Majeed and Riaz Laljee, both close friends of President Zardari, perused the owners of TV channel to stop telecasting anything against National Bank. Dr. Danish is said to be very upset about the developments and wants to resign. He says that he will join any group on one condition that the programme regarding National Bank would be telecasted first. The situation also speaks of the strength of mafia ruling the roost in the National Bank. It may be mentioned that Baig is chief of HR in the bank and he has successfully foiled all inquiries against him by offering jobs to the relatives of investigating officers, insiders said. He recently resigned from the bank but the administration didn’t accepted his resignation. It may be recalled that the owners of ARY were main to get benefit of the successful attempt by Hussain Lawai, CEO Summit Bank, to transfer billions from the account of MCB to their account in Dubai. Lawai remain absconder for a decade before being arrested by Interpol and later released by authorities giving him benefit of infamous NRO. Lawai, close friend of President Zardari climbed ladders of success by grabbing three banks with the help of State Bank of Pakistan, the regulator.